Which is the world's best city to live in? Well, European cities continue to lead in terms of quality of life. According to the Knight Frank report, Sydney and Zurich have made considerable progress in terms of quality of life. While Paris is the most expensive city to live in according to Economist Intelligence Unit, it is also among the most influential and livable cities. In 2010, it was ranked among the top ten cities in the world for the best quality of life according to the British review Monocle. Paris is one of the world's leading business and cultural centres and ranked among the 10 greenest European cities in 2010. 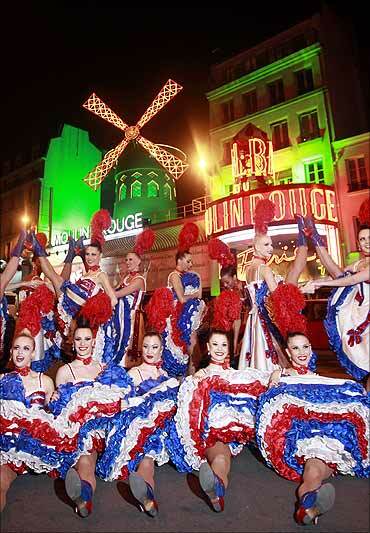 Image: Dancers from the Moulin Rouge in Paris perform their traditional Cancan outside the cabaret. A world city of culture, politics, media, and science, Berlin serves as a continental hub for air and rail transport. One of the most visited tourist destinations in Europe, it houses renowned universities, research institutes, sporting events, orchestras and museums. Festivals, architecture, nightlife, contemporary arts, public transportation networks and a high quality of living make Berlin an attractive destination. 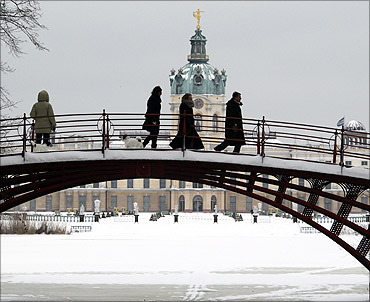 Image: People walk over a bridge in front of snow covered Charlottenburg castle in Berlin. Toronto is considered an alpha world city according to the Globalization and World Cities (GaWC) study group. Toronto was ranked 12th in the world and 4th in the Americas for economic innovation in the Innovation Cities Top 100 Index by 2thinknow. It is also a major centre of higher education and research, home to several universities and colleges. According to Forbes, Toronto is the world's 10th most economically powerful city and the fastest growing financial centre among the G7 nations, along with London. Toronto is consistently rated as one of the top-ten most livable cities in the world by the Economist Intelligence Units and the Mercer Quality of Living Survey. 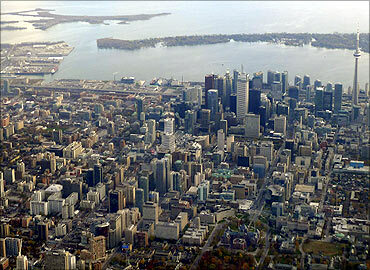 Image: The downtown core of Toronto sits next to Lake Ontario in a picture taken from a commercial flight. 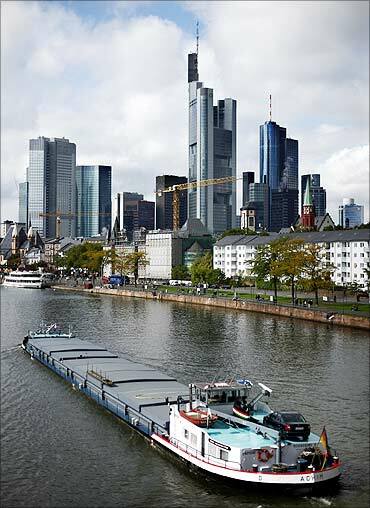 Frankfurt is hailed as an alpha world city and finds itself ranked among the top global cities. It is a hub for commerce, finance, culture, transport, education, and tourism. According to the Mercer cost of living survey, Frankfurt is Germany's second most expensive city, and the 48th most expensive in the world. Frankfurt also ranks among the top 10 most livable cities in the world according to Mercer Human Resource Consulting. Image: The skyline of Frankfurt with its bank towers. One of the world's largest largest financial hubs, London is well known for its arts, commerce, education, entertainment, fashion, finance, healthcare, media, professional services, research and development, tourism and transport. In 2012, London will become the first city to host the Summer Olympics three times. Zurich, the largest city in Switzerland is a hub for railways, road and air traffic. Ranked among the largest financial centres, the city is home to a large number of financial institutions and banking giants. Zurich consistently finds its name among the cities offering the best quality of life in the world in Europe. 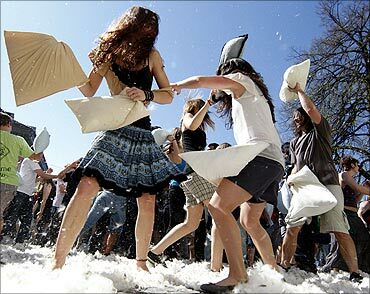 Image: People attend a pillow fight in front of Zurich's catherdal on international Pillow Fight Day. 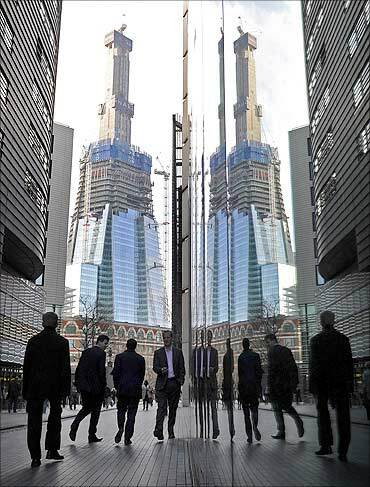 Tokyo has been hailed as one of the three 'command centres' for the world economy, along with New York City and London. Ranked third among global cities by Foreign Policy's 2010 Global Cities Index, Tokyo also happens to be the second most expensive city for expatriate employees. Monocle magazine has also ranked Tokyo as the fourth 'Most Liveable City' and the World's Most Livable Megalopolis. 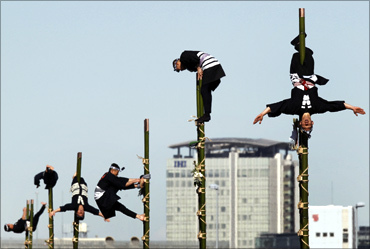 Image: Edo Firemanship Preservation Association members perform atop bamboo ladders in Tokyo. Munich, a financial and publishing hub, tops in quality of life. Munich was raked 7th in the Mercer livability rankings in 2010. For economic and social innovation, the city was ranked 15th globally out of 289 cities in 2010, and 5th in Germany by the 2thinknow Innovation Cities Index. In 2010, Monocle ranked Munich as the world's most livable city. Munich is the third largest city in Germany, after Berlin and Hamburg. 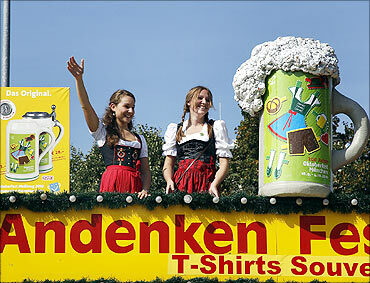 Image: People in traditional Bavarian clothes take part in the 177th Oktoberfest in Munich. New York, the third most populous nation in the Unites States, it is a financial, cultural, transportation, and manufacturing centre. 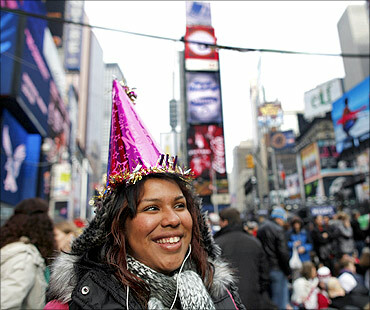 A gateway for immigration to the United States, it ranks high among the most livable cities. It is also a major tourist destination. Los Angeles is a bustling centre of business, international trade, entertainment, culture, media, fashion, science, technology, and education. Los Angeles has been ranked the third richest city and fifth most powerful and influential city in the world, behind only New York City in the United States. Los Angeles, which is home to Hollywood, is also known as the 'Entertainment Capital of the World'. It hosted the 1932 and 1984 Summer Olympics. 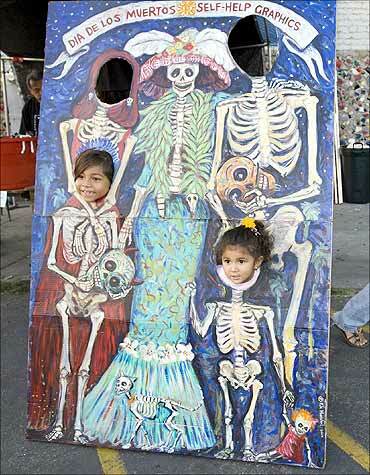 Image: Two children have their picture taken during a celebration of the Day of the Death in Los Angeles. World's leading cities: Mumbai to be No. 7! Small cities creating 60% of the jobs in India!